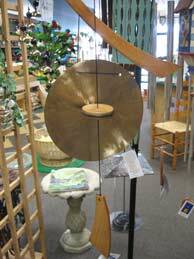 We carry a variety of wind chimes from Woodstock. 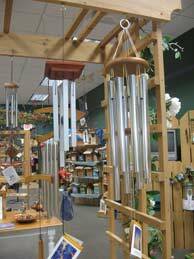 Each chime is specially tuned with a specific song or melody in mind. 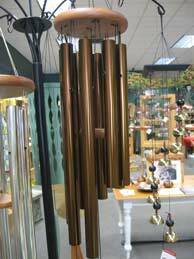 You can choose between the standard looking wind chime varieties as well as other specialty musical pieces such as a 'wind gong' and 'wind bells'. Woodstock chimes come with a lifetime warranty, and they can re-string your chimes if by chance they break. Come in to see our current selection, our inventory is constantly changing! **We also special order items from Woodstock if there is something you want but it's not currently in our store!